Item # 316441 Stash Points: 5,995 (?) This is the number of points you get in The Zumiez Stash for purchasing this item. Stash points are redeemable for exclusive rewards only available to Zumiez Stash members. To redeem your points check out the rewards catalog on thestash.zumiez.com. 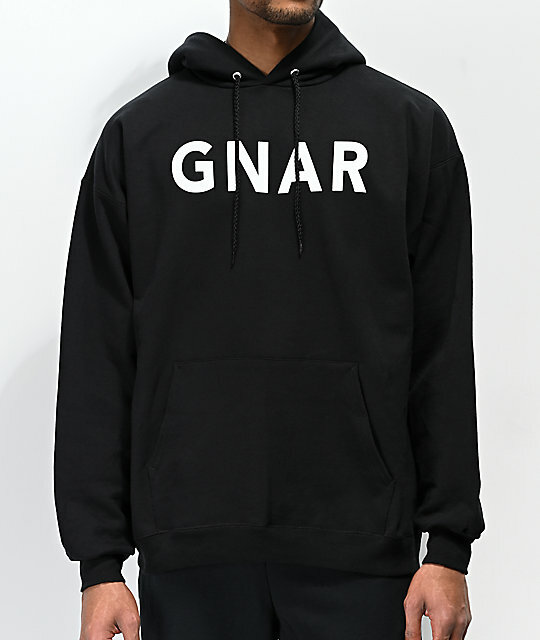 Easy to pair with any bottoms, Gnarhunters presents their bold, yet simple Gnarmy Black Hoodie. 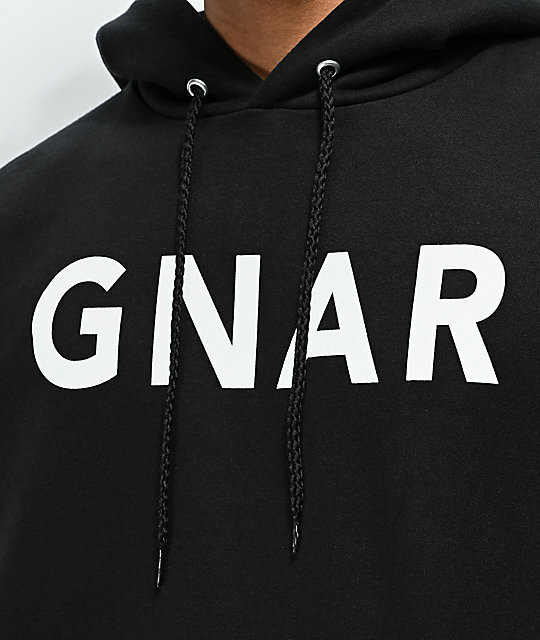 Embodying a classic pullover silhouette, this garment comes made with an adjustable drawstring hood, kangaroo pouch pocket and the word "Gnar" printed across the chest in a bold type font design. 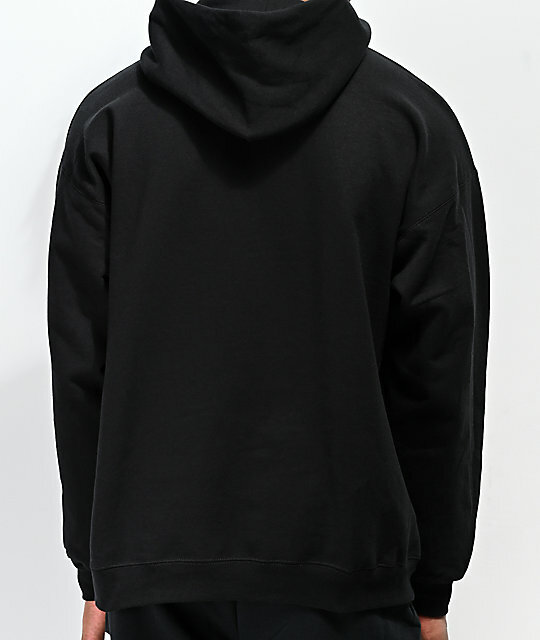 Gnarmy Black Hoodie from Gnarhunters. 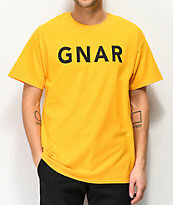 Screen-printed logo text on chest.